Hey, I'm not for erecting walls when there is no need for them. Who instead doesn't love to build bridges--full of peace and brotherhood, definitely. But after 9/11 and the ongoing, endless wave of global terrorism and serious threats that we are confronting (including from WMD), let's face it...we need secure borders. This is called common sense security, and it's been highly regarded and employed throughout history and all around the world. That doesn't mean that good people don't come in...only that we have a thoughtful and effective way to work to filter the bad people out. 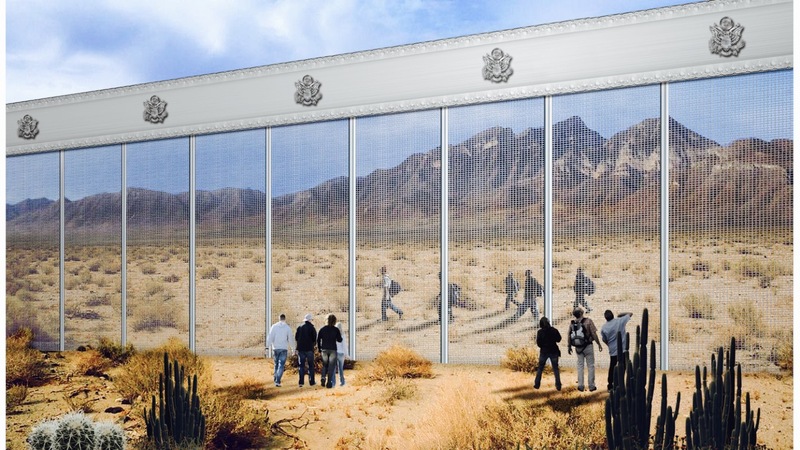 Anyway, it seems that the bake-off of border wall prototypes has yielded this brilliant design. If it's truly rugged and includes intelligent border security mechanisms such as sensors, surveillance cameras, biometrics, and so on, then this could be an awesome looking and functional option.